It was good to see several generations of poets at the Art Rage Gallery this evening for a book release/poetry reading by Jackie Warren-Moore. 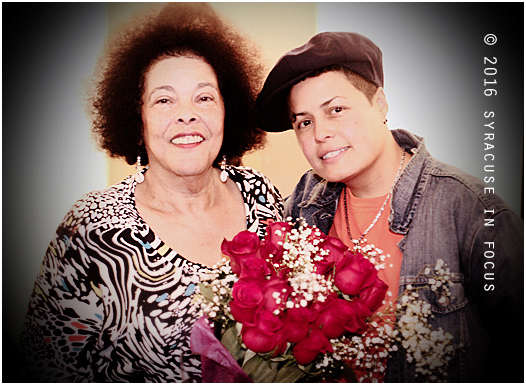 Her new book is titled “Where I Come From.” Warren-Moore is pictured her with another poet, Jazz Rodriguez. 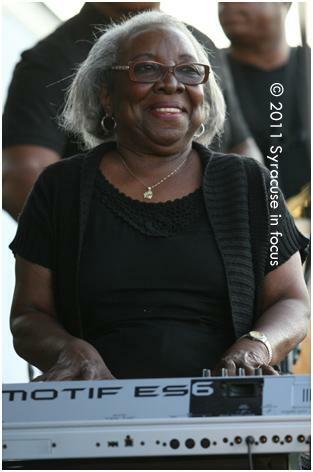 Dr. Joan Hillsman played Jazz in the City (Southside) with the Syracuse section of the Gospel Music Workshop of America. 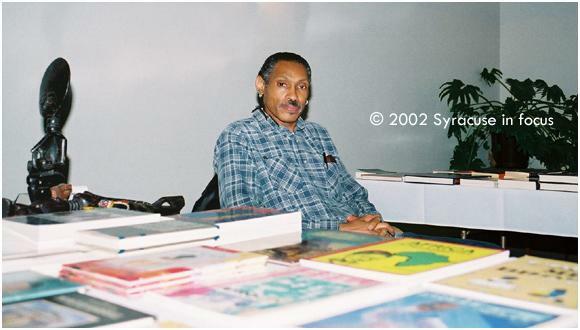 She is author of the text Gospel Music: An African-American Art Form. September is Gospel Music Heritage Month. 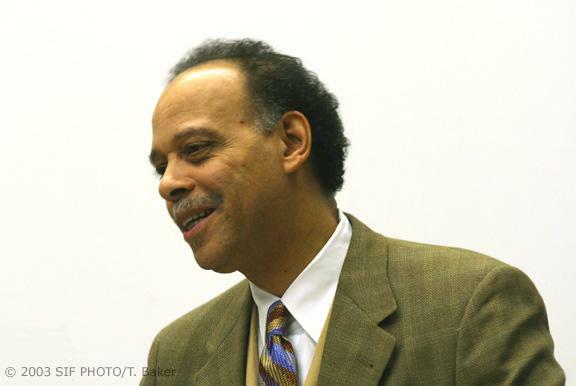 Haki Madhubuti, the poet-turned publisher, visited Syracuse for a writer’s conference about a decade ago. Author General Davis participated in the Stand’s talk back session at the South Side Communications Center. 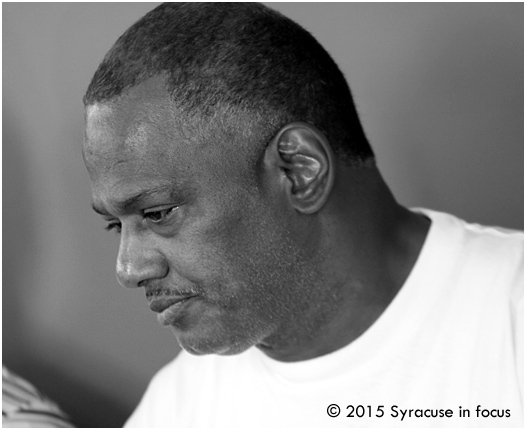 The Syracuse University event for the 4th Annual Community Read-Out (Black & Banned) was held at Bird Library. 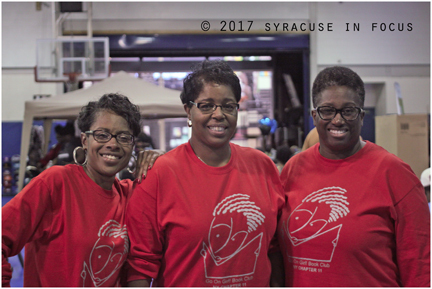 The event was organized by Professor Dr. Joan Bryant (far left). 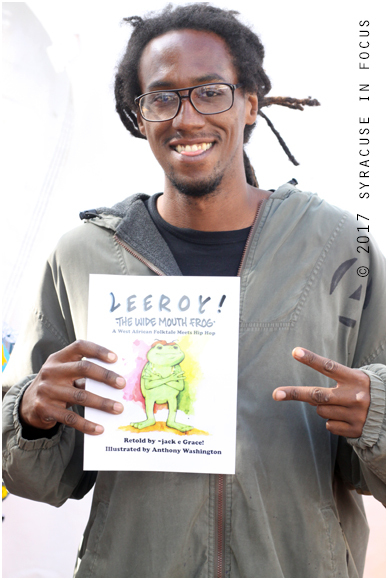 We wonder what would have surprised Malcolm X (aka El-Hajj Malik al-Shabazz) more, the fact that his autobiography was banned and called a “crime manual” in Jacksonville FL, or that 50 years later a marathon community reading about his life would be held at Syracuse University (SU). For the next two days additional readings of The Autobiography of Malcolm X (as told to Alex Haley) will be held at Onondaga Community College and Beauchamp Public Library. The Autobiography was a great choice for Banned Books week on many levels, but most important, Malcolm X’s story speaks to the heart of the American experience. For further exploration of his legacy, we also recommend this book by Rondell Collins. Interestingly, one year before the book was published, Malcolm was interviewed by writer Al Balk, who later became a professor at SU’s Newhouse School.